Connected cars are becoming increasingly common around the world. In India, owners of Mahindra Reva’s e2o electric car can now check their battery charge, control air-conditioning, lock or unlock doors and locate the nearest charging station from their smartphone. The car also alerts its owner if the parking brake is off or a door is left unlocked, according to Vodafone, which is supplying the machine-to-machine communication services for the e2o. 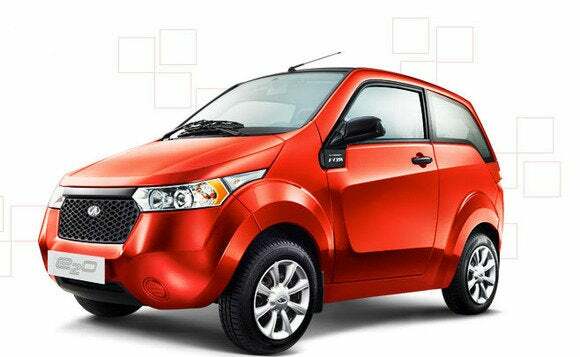 The e2o is the first Indian car, among the few worldwide, to allow car owners to communicate with their cars at anytime from anywhere, according Mahindra Reva. The company thinks that connecting cars will improve both convenience and security. “Just the nature of the driving experience, how it works and the requirements for recharging, for car management mean that essentially electric cars have to be connected,” said Matt Hatton, director at Machina Research. Like many operators, Vodafone has increased its focus on machine-to-machine communications, and connecting cars is a part of that push. Last month Vodafone announced MyPark Space, an intelligent parking guidance system called that keeps track of available parking spots via M2M communication. Parking spaces must first be equipped with sensors and a network connection, which together can tell a cloud-based system when a space has become vacant. Using the MyPark Space app, drivers can locate a parking space close to their destination, and then hurry to snap it up, Vodafone said at the time. “In terms of connected cars overall, the momentum is certainly growing. If you look at top-end marks like BMW and Audi are increasingly getting to the point where three, four years down the line all their vehicles are going to have some form of connectivity,” Hatton said.